Hello my lovely people out there!!! I am so excited to share this post with you guys. 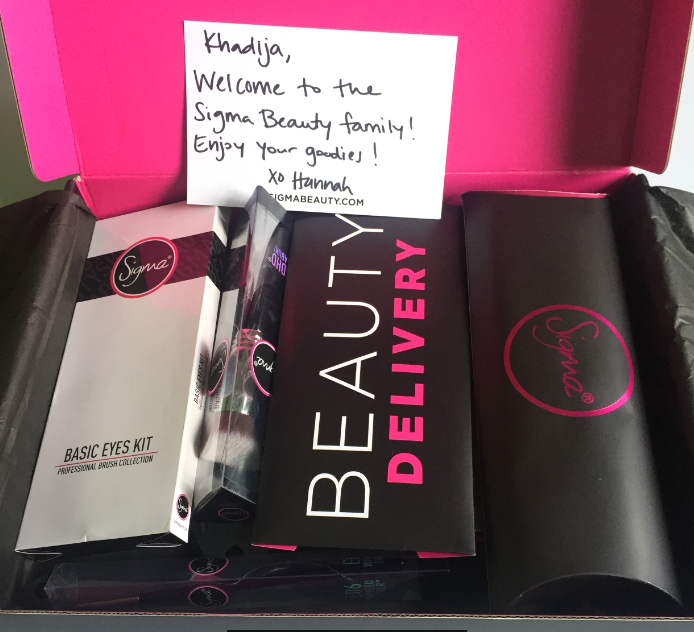 After my affiliate program was accepted by Sigma Beauty, they sent me a super cool box of goodies. Makeups are the bestest gift for all makeup lovers *am I right? * And you know what the best part was? I was not informed about this. So this came to me as a surprise which actually doubled my happiness. Thanks to each one of you who have been supporting me on my social media and also on my blog. Your support means a lot to me. 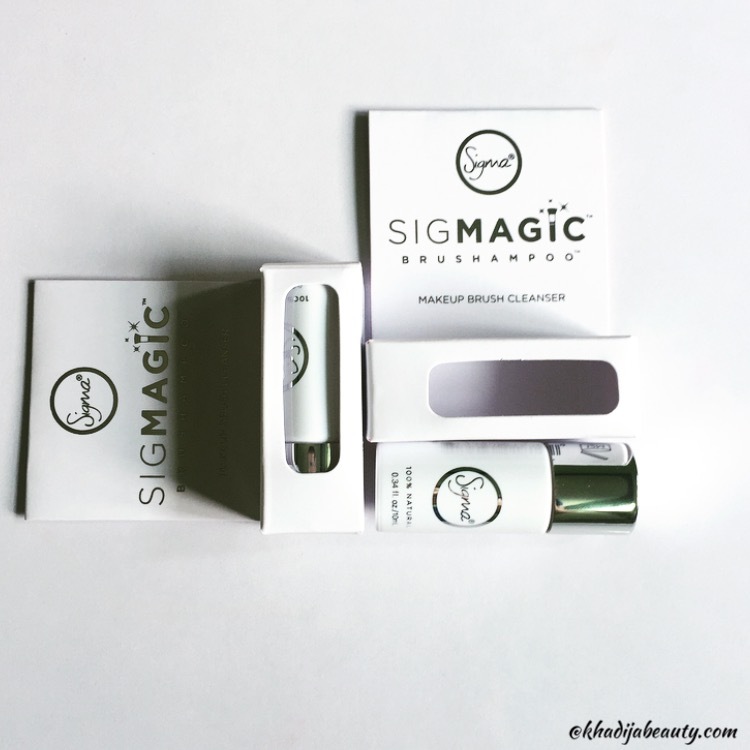 Sigma is a brand that doesn’t need any introduction. They are known for their amazing and high-quality makeup brushes, eyeliner and for their cosmetic line. 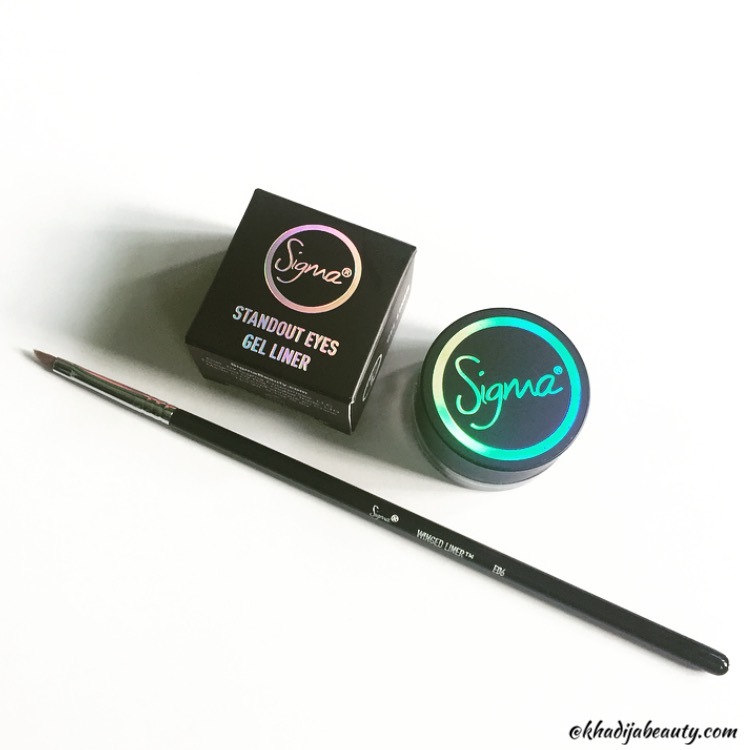 Some of the products which I have received are the best sellers of Sigma and if you love makeup brushes then you are going to fall for it, I bet. 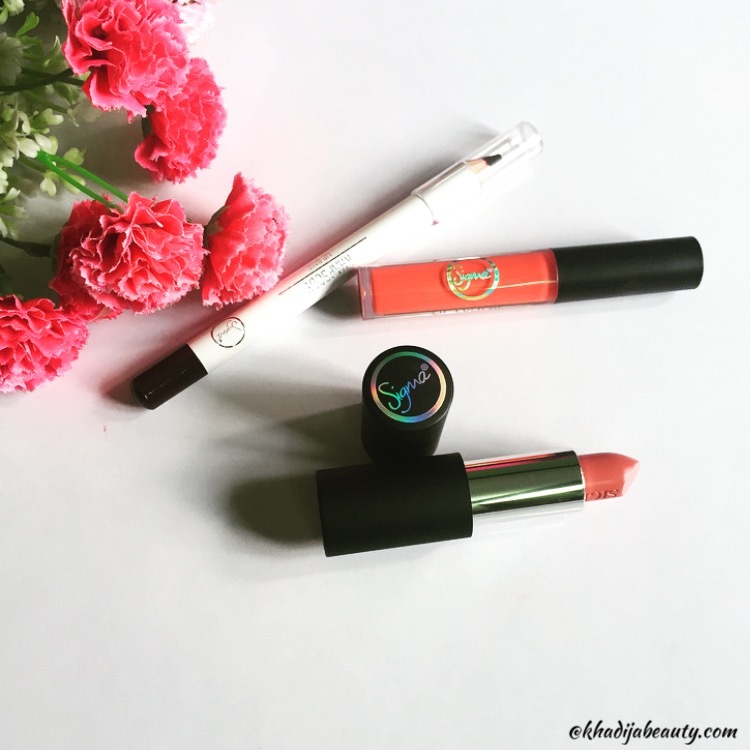 I received 3 lip products and being a lipstick lover I was on cloud nine after seeing it. Next up we have sigma lip base. This comes in a jumbo white Pencil packaging and the shade I received was “Rhapsody” This is a maroon or dark wine in color which can be worn alone as a matte lip colour or under some lipstick as a base. It is extremely creamy and super pigmented. you guys should definitely try this just for its extremely soft texture. Then the last lip product in the goodie box was sigma lip eclipse. This is basically a glossy opaquely pigmented lipstick. The shade “She Knows the ropes” is the one I got and I must agree that it a fresh orange shade that would suit all the skin tones and can be worn in any season. I am a huge makeup brushes hoarder and I already have tones of brushes but still, never get satisfied. 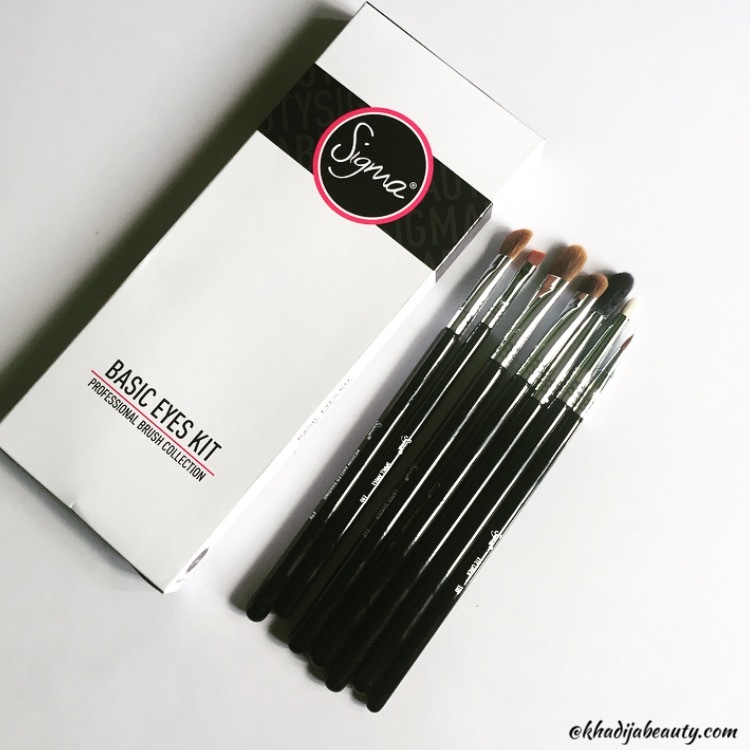 This sigma Basic eye kit has a set of 7 brushes that can be used for creating any eye look. And do I even have to talk about their quality when it comes to their brushes? Obviously they are all of the A1 quality and all of their brushes are Patented. This is the proof for their quality and uniquness. Okay to be very honest after seeing this brush I was literally jumping in happiness. I was eyeing this brush since the day it was launched and to my surprise I got it. I use a beauty blender for my foundation but these days when I am in a hurry I reach out for foundation brushes. The bristles are really soft and the reason why I wanted it was for their design. 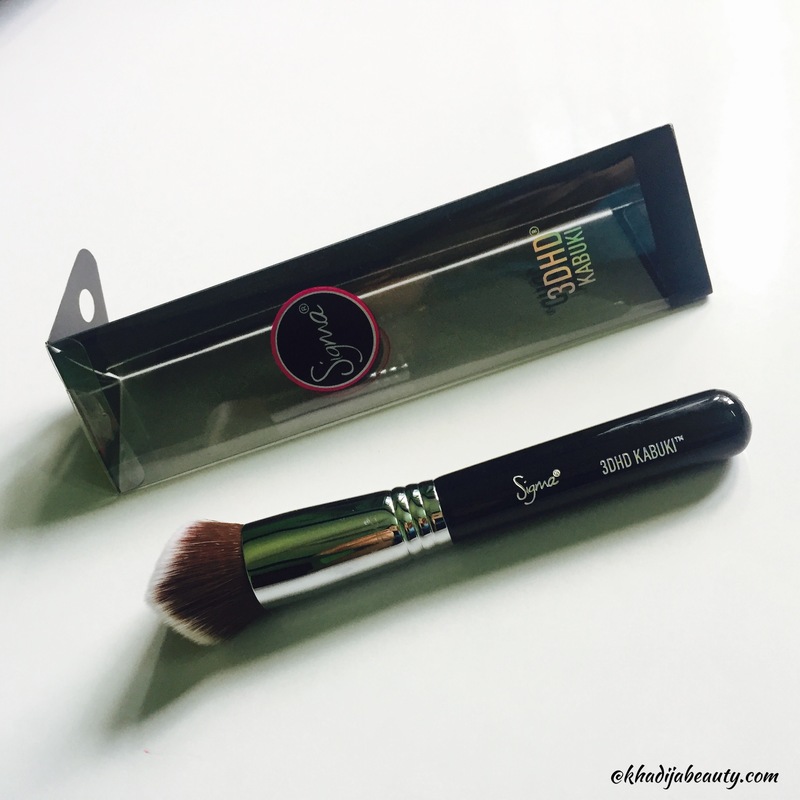 This sigma 3DHD Kabuki brush is also patented and designed in such a way that it can be used for foundation, contouring and even for highlighting. I am going to review this in detail for sure because there is a lot to talk about its design and other applications. This is one of their best sellers and no doubt it has to be. 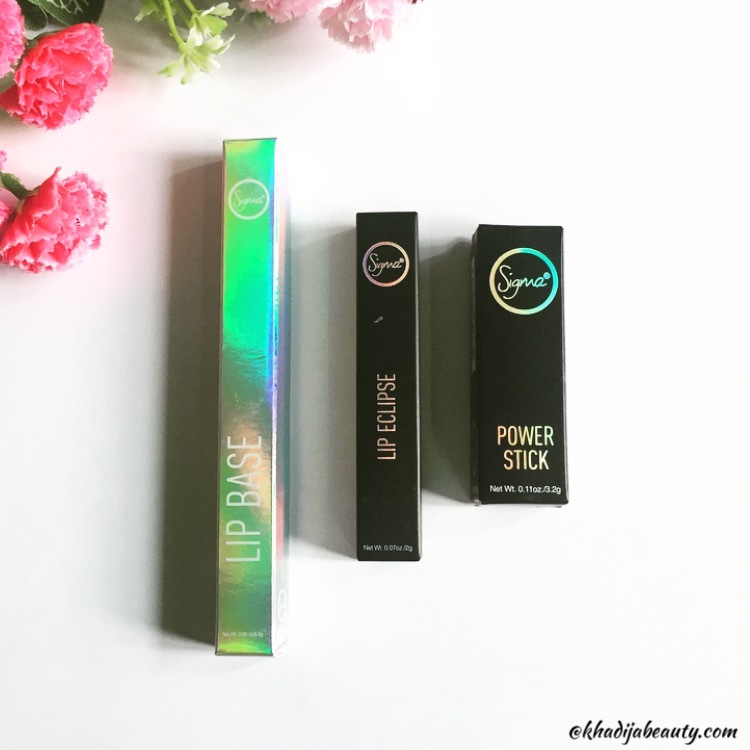 It is a much-hyped gel eyeliner and it is all worth the hype. I tried it and I was blown by its creamy texture. It glides on the eyelids effortlessly. This eyeliner comes in two shades (Stunningly lady-like and Wicked). I have got wicked which is a jet black shade. Along with that, I have received E11 eyeliner brush. The brush is so precise that it would help you draw a smooth line and a perfect wing. All the eyeliner lovers, this is a must-have for you. This palette has a combination of all neutral shade that will help you create both daytime and party looks. 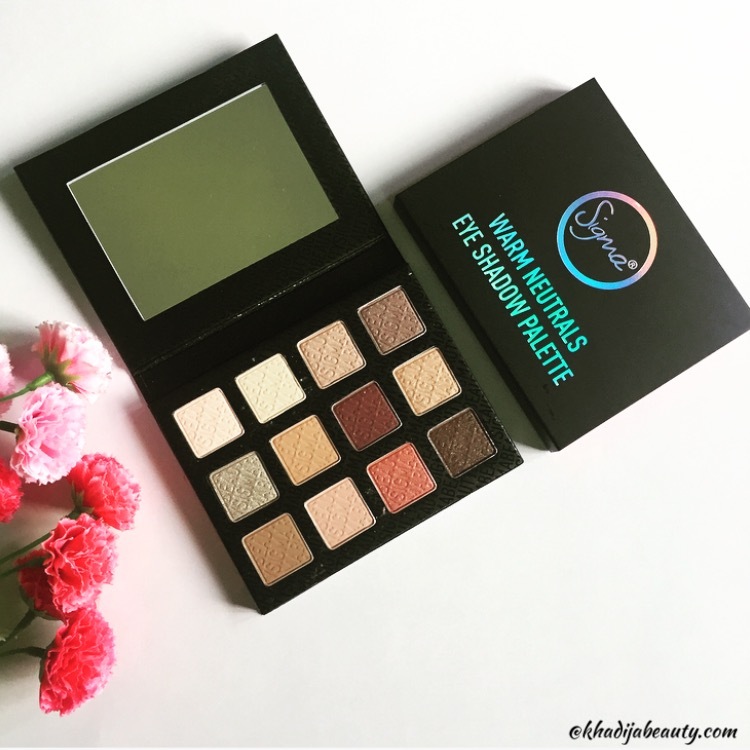 The Warm Neutrals Eye Shadow Palette is comprised of 12 neutral shades of rich, warm hues offset by soft, cool undertones giving you the ability to create endless options for a lit-from-within glow. This collection features matte, frost, sheen, duo-chrome and shimmer finishes. All shadows are paraben-free. 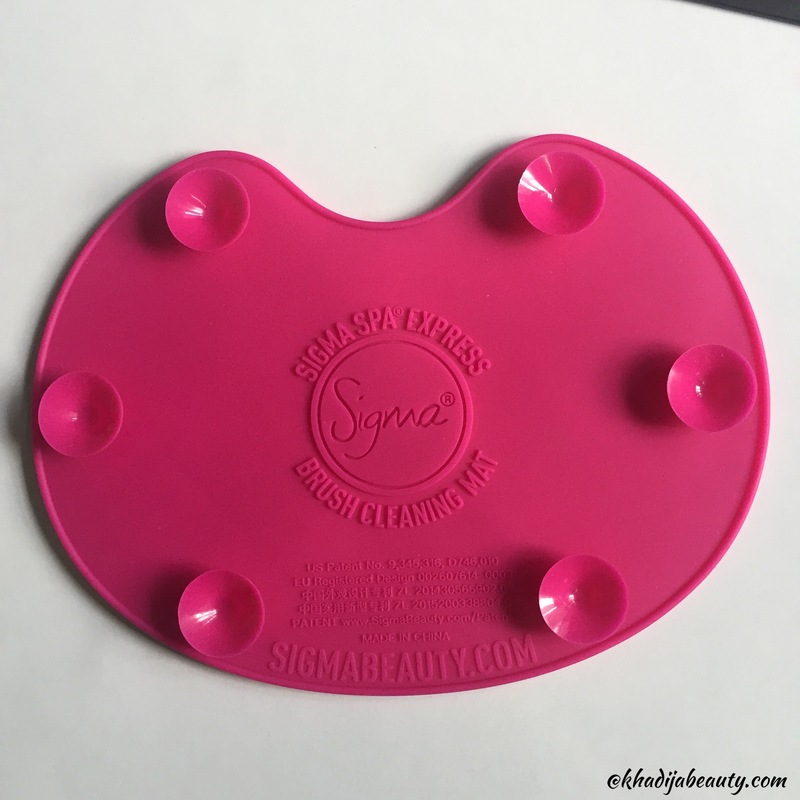 The PATENTED Sigma Spa® Brush Cleaning Mat is an innovative device featuring 7 patented textures to wash both eye and face brushes. 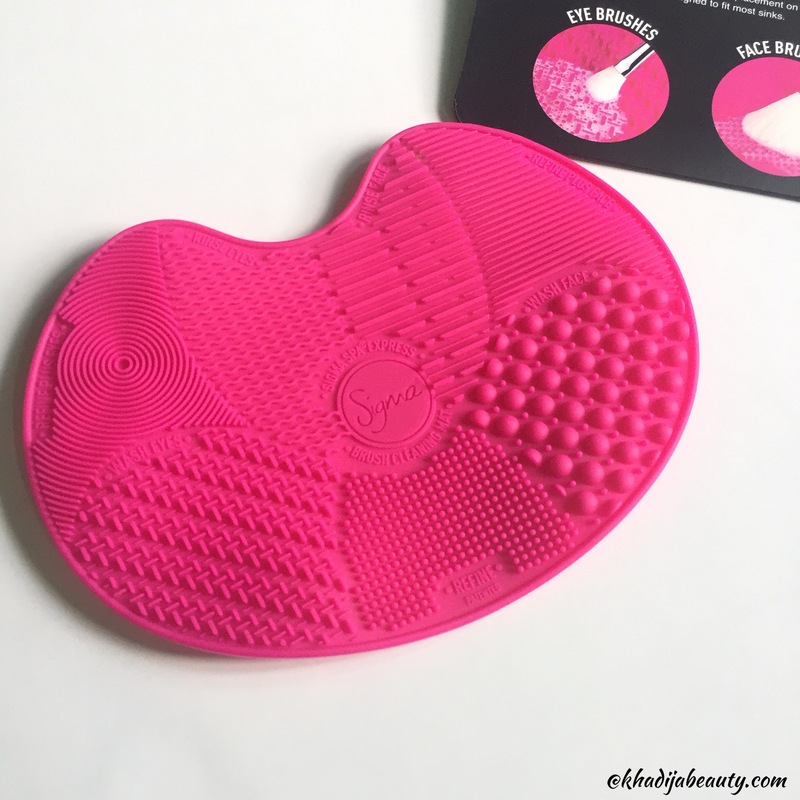 This silicone brush cleaning mat includes suction cups on the backside for secure placement on flat surfaces. This helps in deep cleaning the brushes because of their unique ridges. That is it guys. I will be reviewing the lipsticks and kabuki brush in detail. 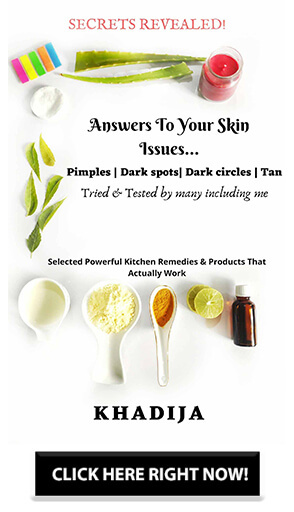 If you need any additional review do let me know either in the comments or through mail. If you liked this then please follow and subscribe me and stay tuned for more such reviews. My eyes are glued on the palette! ? Love everything you got there!!! Also, I think you forgot to mention the affiliate link. Will surely help you out with that ? Yaay ? Love the products girl congratulations ? PLEASE MENTION PRICE OF IT.